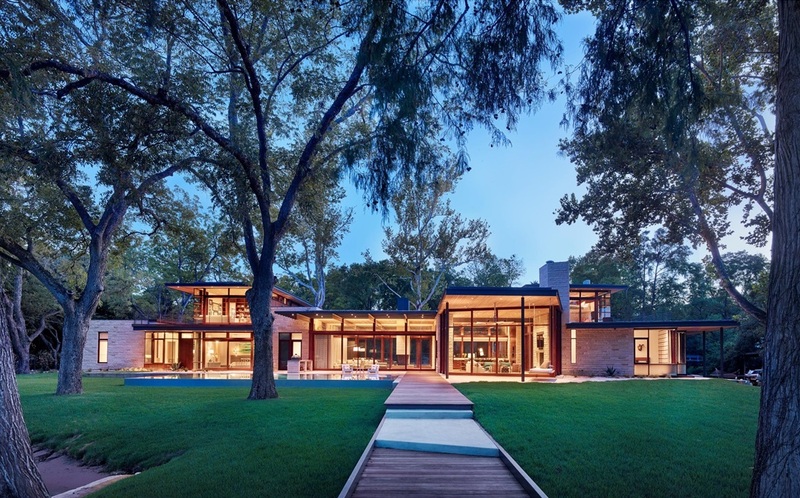 Lake Austin Residence, with its stepped rooflines and angular window walls creates a harmonious relationship between the modern home and the lush landscape surrounding it. Banded Sapele Mahogany, with its rich red overtones, were used to create the floor to ceiling cornering window walls that appear to support the catapulted overhangs and juxtapose their organically asymmetrical lines. In addition to filling this home with abundant light, Quantum’s Lift & Slide Door Systems provide an effortless transition to the world outside that includes a boat dock, fishing pier and sandy beaches. Other Quantum contributions included Pivot and Hinged Doors as well as Motorized Awnings.